One Question You Shouldn’t Be Asking Her In Long Distance Relationship ! First of all let me define what do I mean by Long Distance Relationship. Since it is a very wide topic and possibility of multiple kinds, I will restrict it to few scenarios so that clears which kind of Long Distance Relationship this post caters to. This post is not entitled to the LDR which has materialized all the way online, faraway or distance from the beginning. You were in deep love with your classmate. She was good at studies and passionate. She goes to a different city for college, while you stay back in the same city where you both fell in love. You both have been in relationship all your high school. You know you are meant to be together. A schoolmate lover living away. You feel in love with a girl in college. During the entire term of college, you both were together. She used to write notes and you would copy from her. You both took part in lot of cultural activities and won lot of times. She got a job in metro city, while you had to stay back in your city. A collegemate love working in some other city. You were a smart person and extraordinary at your work. She was calm and composed. You worked together. Everyday from having breakfast till evening snacks, you never missed it. You would come along with her to office and leave with her to drop her at her place. You would spend all your weekends with her most of the times watching movies or on outings. You were in a world of fairy tales. She loves you equally good and you meant the world to her. She got a better job in another city. You were promoted in the same job in the same city. A colleague lover, getting a new job. Since the times when someone feels love, you were attracted to that simple looking teenage girl in your neighborhood. Every time your eyes met her, the world would disappear around you. You have seen her grow from being a young teenage girl to a independent young lady. You have seen her grow beautiful every single day. There is nothing that you both don’t know about each other. Her father got transferred to the other corner of the land. A girl next door, family shifted to new place. So the kind of love and relationship where two people have been together and known each other for a many years, due to some new event in life, they had to stay away from each other, that is the context I am talking about. In all the scenarios, they are still in touch via calls, texts and video calls. They make every effort to keep the love reaching the other part of heart. She is away. You miss her. She misses you. She has friend. Every time you call her, she is with him. She goes to movies with him. You envy her. She spends a lot of time with him. You wonder what is going on. You feel the affection she had for you is reducing. Is she in love with him ? Is distance causing a crack in our relationship? Should I ask her should I ask her not ? With these chain of thoughts your relationship may end up disastrous. Do not question on her loyalty ! Lest you may be questioned on your love ? In the age when love shifts from one person to other just like TV channels, you are scared to lose her and your insecurity might become the sole reason to confirm your thoughts. Be careful in the choice of your words with her. Talk with a wise friend – is anyone wise enough ? Be careful on the influence of others on you. Do not drink and call. Don’t ponder over these thoughts for many days. Depending on the comfort level of your communication either keep it straight or direct. Don’t be blunt or absurd. If you have any doubts, please comment below or you may shoot me an e-mail, I will be happy to discuss on it. 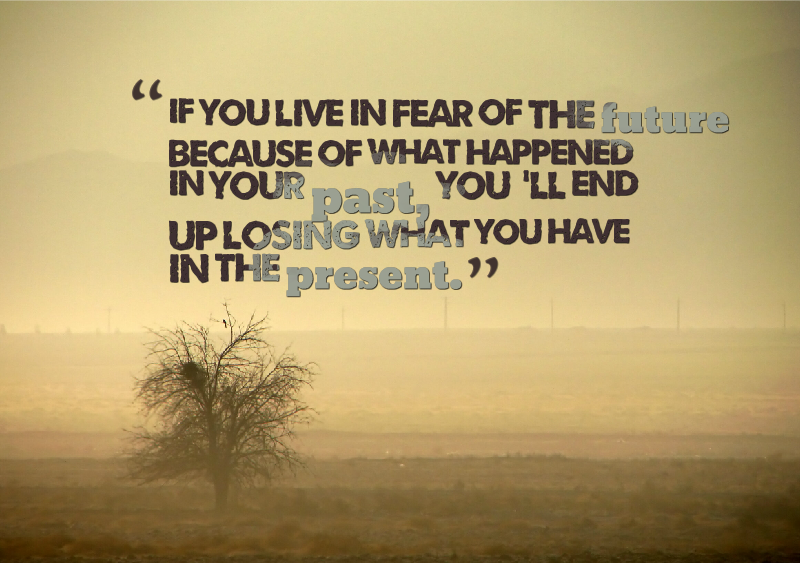 Ask yourself – Stuck in the past ? I have some interesting friends, who happen to experience some vivid incidents in life and they teach me a lot. I have this one friend, who doesn’t want to get married because of a breakup in the past and she is stuck to that moment in for lifetime. I am sure, you might have lot of such friends or you might be one yourself. I would like you to take some time and think about it. Why is that break up so hard to move on. Moving on not necessarily mean you have forgotten the past and you don’t consider it to be beautiful. Moving on is essential for living. When something has end like forever and you are sure there is nothing you can do about it, then you must surely look at exploring your life and embracing all good that is coming to your life. But then she might say, there is not quite much happening in life and nothing exciting at all. I ask her and you, to consider this fact and think on this. Are you sure, that no good is happening because it is not happening or the reason is you ? Have you hold on all corners so tightly that nothing essentially ever happens. Are you sure, you are not the reason for a static life ! Do reconsider. At times, she says yes. I do not dwell any further in messing with thoughts and belief of my friends, so I let them decide what is good for them. There are quite a number of interesting persons in my life who drive my thoughts and make me think about some acute things in life, which are missed by a lot of us. I started to think, whether they should be thinking the way they are. They seem to go along well and in the end everything turns out for good, isn’t it ? May be I am just stupid, to think wide and far about things in life. This is the way it is. But surely I would always ask anyone who has decided to do something in life out of some experience in past. Are you sure, you are not clouded by your experience in past, making a decision out of a filter ? You see, it is us who guide the course of our journey. It is some small decisions and beliefs we have, that drive us and make us who we are. Next time when you feel, the whole world is coming down on you, because you are very nice and simple person, I would like you to reconsider the facts. Think about what is that you want, what is that is happening and what is that you are stopping from happening. Never let anything that has made you sad, guide a decision you make. Never make an experience your weakness. Never let a person in your life, decide the course of your journey. Whoever it is, whether that person is whom you love a lot out of proportions or it is the person who has given you sadness forever and you hate him like anything. Be yourself, you know it from a lot of quotes. Now you know what they meant, be yourself, in every situation you are put through and go through. We live through good moments and learn through not so good moments. Everything that happens with us has a purpose, we learn during the next set of journey. But if you do not let it happen, it would never. If you do not step into the next step, you would never realize what has life got you for. Someone might be a reason for a breakage, make sure you are not the person responsible for your demise. Look around, there is always someone who wants to care for you, your family, your friend or your silent lover. You might be hurt by one person, that doesn’t mean you never let someone else closure to you. May be yes this time you need to be cautious, more careful, but let things happens. Do not hold on to things very tightly. To the most amazing friends out there. To the most simplest person out there. To the most caring girl out there. I have only one question for you. Ask yourself, why you are the way you are and are you sure, you are not the reason why things are not moving in your life. Are you not stopping yourself from being happy. May good times, flow into your life like a never ending river and you live the life you were destined to live. Sometimes, you are destined to change your believes and change your attitude. Just don’t be so good, that you hurt yourself forever. Let me know what you think about this post and do you see anyone around you who is so. Thank you for reading.